Affordable Plumbing Mukilteo Can Trust! Drain Clogs, Water Leaks, Sewer Back-Ups, Hot Water Heaters, and more, just call us! Plumbing issues are never great news, but knowing who to call when you need a solid plumber is a very good thing. Many people do not have a Mukilteo Plumber that they can trust, so it's probably about time to find a plumbing service company that can demonstrate plenty of expertise and value. For many years now, Plumbing Experts NW does the affordable plumbing Mukilteo WA customers really can trust, use, and recommend to friends and family. Call on Plumbing Experts---it DOESN'T MATTER WHAT DAY OR WHAT TIME---just call us! Problems big or small won't matter either. Our staff and plumbers are some of the most friendly and helpful, and we are always ready to help you get past your drain clog, sewer backup, water leak, or other plumbing issues. We have a long track record of being honest, thorough, and clearly providing options for our customers and their repairs. This is how we became one of the most affordable plumbers Mukilteo WA can offer. And to be sure, you want affordable plumbing repair but not a "cheap plumber"---there's a difference. By all means, check on us and our reviews---we've shown that we do right by our plumbing customers. A better idea: see for yourself by filling out our contact form below, OR give us a call today at 425-948-7705. We can't wait to be the one you call and to show you why Plumbing Experts NW is gaining notoriety as the plumber Mukilteo can rely on to deliver expert service and affordable service every time we are called upon! Awesome Reviews of an Affordable Plumber Mukilteo folks love! 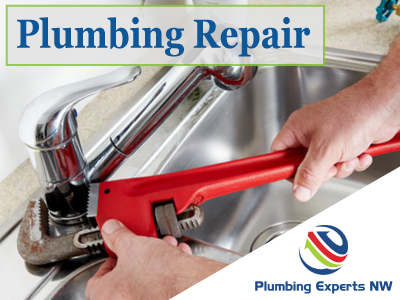 Any common Mukilteo plumbing problem that comes up: Toilets, repiping, disposers, water leaks, water pressure & more! We can help locate water leaks and fix them fast. Affordable plumbing with expertise in stopping your leaks! Sewer lines are tricky, so we use sewer cameras to see exactly what's going on & how to fix your sewer issues in Mukilteo. We've done replacement and repair of water heaters in Mukilteo for years. We also have tankless options! We clear all clogged drains for Mukilteo residents or businesses. Clogged sinks, toilets, and even main drain lines. Sewer Line issues diagnosed and cleared out. Our affordable plumbing staff know sewer repair in Mukilteo WA.